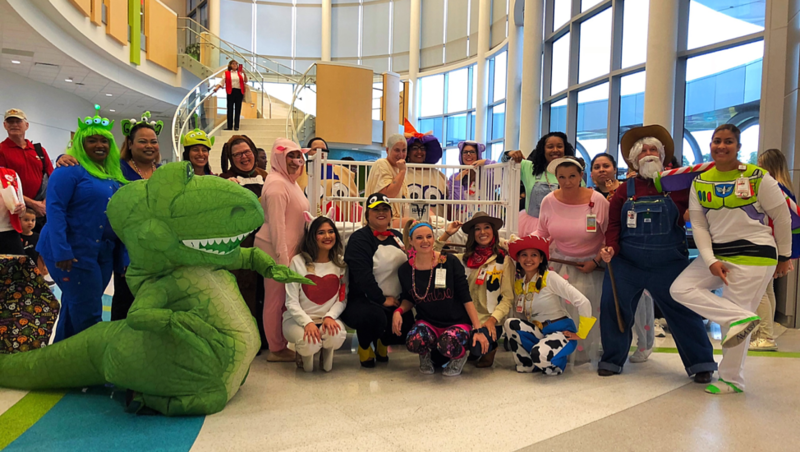 On October 31, 2018, Texas Children’s Hospital – The Woodlands hosted a fabulous Fall Festival! From The Wizarding World of Harry Potter to The Land Oz, the costumes were creative and sensational. The department that took home the gold was a team of six in Guest Services, complete with Dorothy, Glinda, The Scarecrow, The Cowardly Lion, The Tin Man and the Wicked Witch of the West. Congrats to the first-place winners in Guest Services! All of the kids (and kids at heart) enjoyed the event!